HimLamBC Investment Joint Stock Company together with Japan Haseko Co., Ltd. set up a joint venture to implement the project of premium quality Japanese serviced apartment in Lot CT1 Residential area in Tu Dinh – Long Bien district – Hanoi City. With a total investment of $ 30 million, this project which is known as a high-end serviced apartment project serving Japanese businessmen with room rates from $ 2,000 / room per month above was launched in March 2017. Rental price: From US $ 2,000 / room per month. 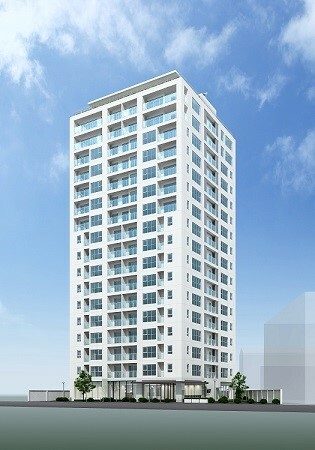 Haseko Joint Stock Company is a Japanese enterprise specializing in high-end condominiums of high quality. Since starting construction of its first condominium in 1968, Haseko has built a cumulative total of around 580,000 condominium units as of the end of 2015. The figure corresponds to approximately 10% of the total for-sale condominium units in Japan. In contrast with other constructing companies, Haseko Corporation and its group of companies have leveraged their capabilities in all condominium business fields –from gathering land information to planning based on the information and proposal to project owners, design, construction, sale, property management and refurbishment. In addition, the Haseko Institute of Technical Studies has a center that performs housing inspection including performance assessments of housing (sound insulation, insulation, ventilation etc. ), performance testing Building materials and housing equipment, and construction experiments.